Yugoslavia’s film industry was very successful and critically acclaimed. In fact, not only was it influential in the region, but it was also interesting for movie enthusiasts worldwide. Movies from that era earned Academy Award and Golden Globe nominations as well as Palme d’Or wins. If the country was still in existence today, it would’ve been able to compete with many movie-making giants and contribute to the art world significantly. Even though the film themes were often a reflection of state of things in the country, they also expressed originality and creative freedom of many talented individuals. If you’re a lover of cinema but also lists, in no particular order, here’s a list of 10 movies essential for an introduction to the Yugoslav cinematography. This 1967 masterpiece is still one of the most iconic movies ever made in this region. Furthermore, it premiered in Cannes, and even won the Special Grand Prize of the Jury. It also received an Academy Award and Golden Globe nomination. This is the first Serbian film screened as a part of the official Cannes Classic program. The director Aleksandar Petrović dazzled the film world with this movie, a classic Yugoslav Black Wave masterpiece. The Black Wave is known for its dark humor and critical examination of society. The movie focuses on Romani people in Vojvodina (a region in northern Serbia) and their life as feather traders. The main character is Bora, a married man who falls in love with a younger woman named Tisa. However, beneath the layer of a seemingly simple story, this film deals with the topic of love, marginalization and life in general. If you’re a sucker for movie music, here you’ll find examples of a song fitting a film so perfectly, it’s hard to imagine the scene without it. At times, the movie might seem hard to follow, but it’s definitely worth the watch! This movie is one of the greatest, slightly bittersweet, comedies of the Yugoslav period. It follows a group of people traveling on a bus to Belgrade on the eve of the Second World War. Gradually, the audience gets to know and love the various characters. Actually, each of them can be viewed as a representative of different aspects of life in Yugoslavia. The commedic dimension of the movie is amplified by the fact that no one knows each other. Therefore, the first impressions the characters have of each other is the same one the audience has of them. The passengers include the charming wannabe singer, the Germanophile who openly welcomes the German invasion, two Gypsy musicians, a newly-wed couple and a hunter, who gets kicked off the bus and continues the journey on foot. Interestingly, most of the characters are known only by their description, not by their name. The story of the movie follows the Topalović family, which consists of six generations of undertakers. In the beginning, the eldest family member Pantelija dies and leaves everything to himself. He didn’t trust his heirs. The remaining five generations start to fight for the inheritance. As it’s perhaps the most famous Serbian movie of all time, most people from former Yugoslavia can quote at least few lines from it. Its greatness is reflected in the sense of humor, which is often compared to the legends, such as Monty Python. 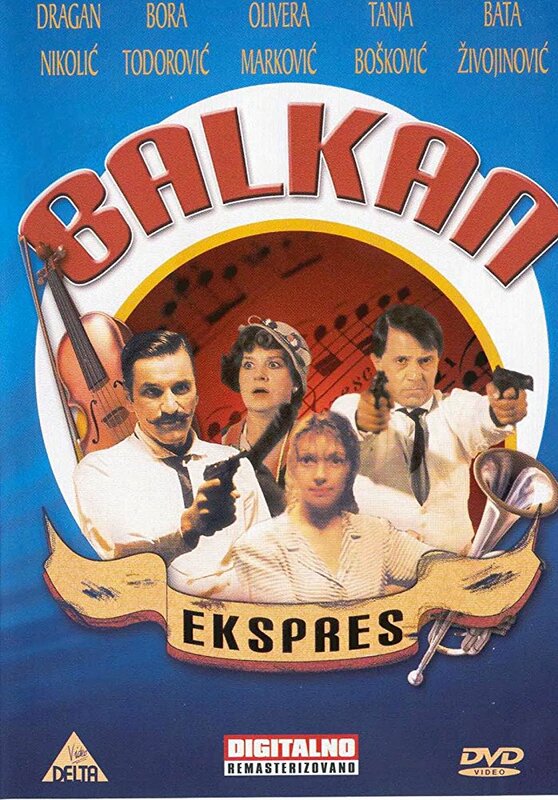 Additionally, the 1982 film is praised for its re-watch-ability and great representation of the Balkan mentality. The original title of the 1998 film is translated to “powder keg”. This paints a picture of the fiery atmosphere of mid-90s Belgrade and Yugoslavia – ready to explode. This is one of the examples of movies that are a reflection of the state in the country. In fact, it might be a little bit exaggerated, but the only purpose is to prove a certain point. There is a lot of subtle hints and gestures that say a lot, which is why it’s best to watch this movie with someone who is from former Yugoslavia. The “Magnolia-esque” movie is set in a single night. It follows various stories that involve around 20 residents of Belgrade. 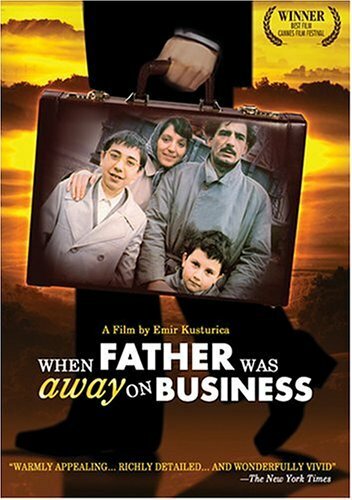 This 1985 drama earned director Emir Kusturica his first Palme d’Or on the Cannes Film Festival. The movie is set in 1950s, after the Tito-Stalin split, and it’s sort of criticizing the state of society in Yugoslavia after that event. Let’s explain the movie title. Namely, young Malik, the 6-year-old boy, is the protagonist of the movie. Furthermore, pretty much the majority of the movie is his perspective of his family and the world around him. His father is often absent and when he asks his mother why, she says he’s away on business. In reality, during this time, Yugoslav communists were investigates by the security forces. Sometimes a remark or a joke told at the wrong time could make you look suspicious and mark you as a Russian spy. At one point, Malik’s father Meša makes a remark about anti-Stalinism. Unfortunately, his brother-in-law he’s not on such good terms with reports him to the authorities. There’s something awakening about Kusturica’s realism and a story told from a child’s perspective. Give it a go and see for yourself! It is based on the 1943 Axis offensive against the Yugoslav Partisans, also known as Case White or Battle for the Wounded. This film made history as the most expensive motion picture ever made in Yugoslavia. That is because it hired some of the most famous actors of that time – Orson Welles, Yul Brynner, Franco Nero, Sergei Bondarchuk. Instead of shooting some scenes in studios, the director wanted the real deal. Therefore, he blew up an actual railway bridge over Neretva river. Also, what makes the battle scenes authentic is the fact that 10,000 actual Yugoslav People’s Army soldiers starred in those scenes. The joined efforts earned this movie an Academy Award nomination. One of the most interesting facts about this film is that one of the posters was designed by the great Pablo Picasso himself. According to the director, Picasso didn’t ask for any money, but he requested a case of the best Yugoslav wines. If Picasso saw something in this film, maybe you will too! The plot of this movie is pretty straightforward – it follows two adulterous couples in a small mining town in Yugoslavia. However, you shouldn’t be fooled by it and think this is a simple film. Instead, Dušan Makavejev, the director, wanted to experiment with movie form and style. 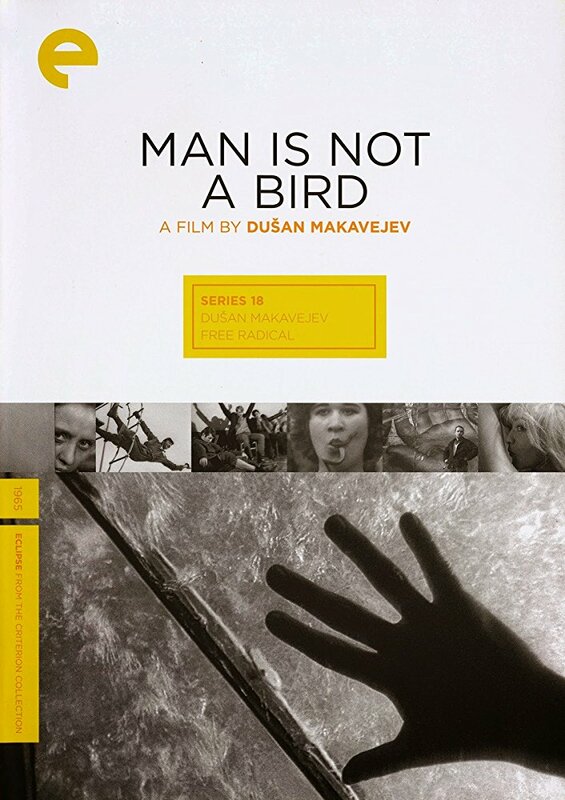 Man Is Not A Bird is an interesting mixture of documentary material and actual played material. It shows the grittiness and darkness present in Yugoslav Black Wave films. Also, the camera work and emotional intensity amplified by music make this movie truly remarkable. In a subtle way, the movie also criticizes people who blindly follow their leaders. Therefore, it can be interpreted as a critique of society. The title is a reference to that. Namely, it alludes to a hypnotist named Roko, who lives in that small town. He brings joy and some enjoyment to the miners’ dull lives. Tragically, he can make them believe that they are free as birds, when, in fact, they’re far from that. Makavejev is one of the founders of the Black Wave and, therefore, deserves a place on the list. Even though it might sound contradictory, this movie shows the funnier side of war. Unlike many war films, it’s not as pessimistic or dark. It’s one of the most quoted movies in former Yugoslavia, even today. 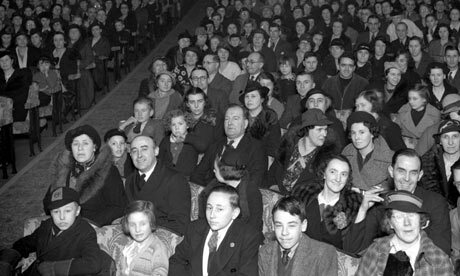 The film follows a group of petty thieves and conmen in the Nazi-invaded Yugoslavia. They pose as a group of musicians named “Balkan Express” to save their lives and try to profit. The cast is made of the absolute best Yugoslav actors, some of which even played the roles of their lives. This is, without a doubt, one of the most loved movies of former Yugoslavia. It shows the ability of Yugoslav people to laugh about some of the darkest moments of former Yugoslavia’s history. Also, the movie breaks myths of war heroes and instead shows many of them become famous by pure accident, rather than intention. You can ask anyone who lives on the former Yugoslavia territory, this is one of those movies that is quoted to this day. Since the moment it was made in 1989, its popularity never dropped. The essence of the movie is captured in one famous line, or, to be precise, a song lyric. It goes “Don’t worry, life will take care of it, as long as there’s people, there will be money”. Something all of us need to hear from time to time, right?